Please note: the contents of this page are being migrated to my main website here. If you expected to find something here that’s not available any longer then again please check my main website. To filter my blog entries on this subject click here. 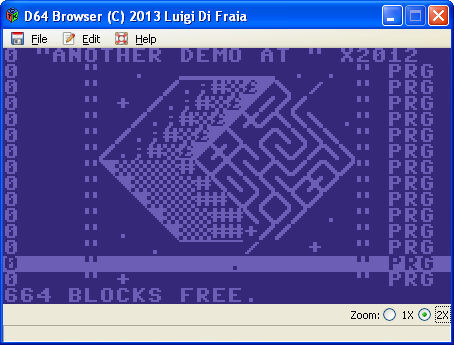 The “C64 Dither” tool was coded as a by-product during the design of new graphics for Integrator 2012, but it eventually became useful for generic graphic conversion activities. It too is based on GTK+ 2.x, hence multi-platform. D64 Browser is a GUI application built on top of GTK+ 2.x and my own libd64fs library that handles D64 images. Initially thought as a component for Integrator 2012, this tool too became part of my standalone tools. This one is a tool I wrote in order to convert one of my designs (not the one depicted below!) to char-mode. 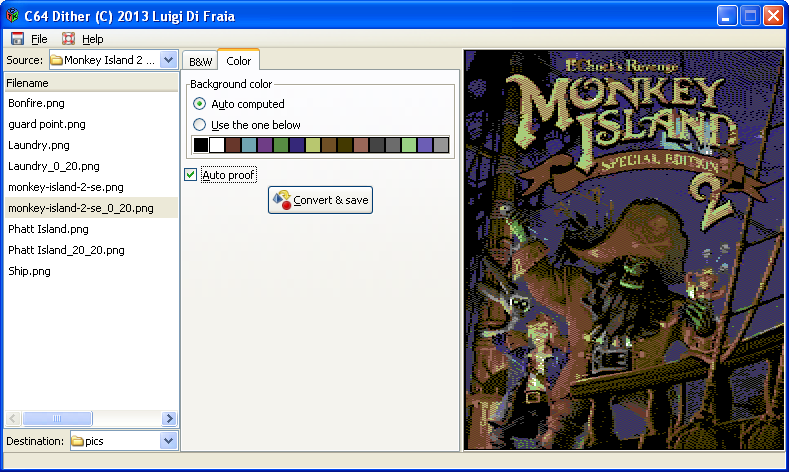 The design itself was already done with char-mode in mind but on a non-native graphic editor.